Lakeland, Fla. (April 9, 2018) – In March, Big Cypress Golf Club, located within the 55+ community of Cypress Lakes, hosted two golf tournaments for the resident men’s and ladies’ golf associations. Substantial contributions from both tournaments benefited Volunteers in Service to the Elderly (VISTE), a Lakeland based non-profit organization. On April 3, Scott Shammo, VP of Big Cypress Men’s Golf Association and Mike Kelly, Cypress Classic Chairman presented a $1500 check to VISTE President, Steve Bissonnette. The donation is a result of the 2018 Cypress Classic Tournament. 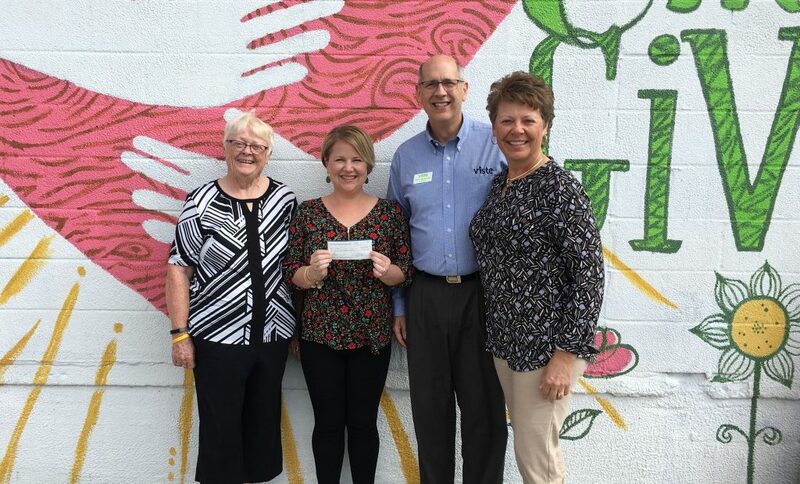 Later, on April 9, Sandie Hackett, Big Cypress Ladies Golf Association President and Patti Kelly, LGA Invitational Co-Chair presented a $5062 check to Mr. Bissonnette along with Ashley Miller, VISTE’s Community Engagement Director. The donation is a result of the 2018 LGA Invitational Tournament. Our appreciation and thanks to all members, golfers, volunteers and staff for your contributions, which made both of these tournaments a great success! Volunteers in Service to the Elderly (VISTE) is a community-based, non-profit organization serving Lakeland, Bartow, Mulberry and Ft. Meade. Established in 1983, the primary goal of VISTE is to enable frail elderly persons to continue living independently and safely in their own home. Learn more about VISTE or get in touch if you’d like to volunteer.